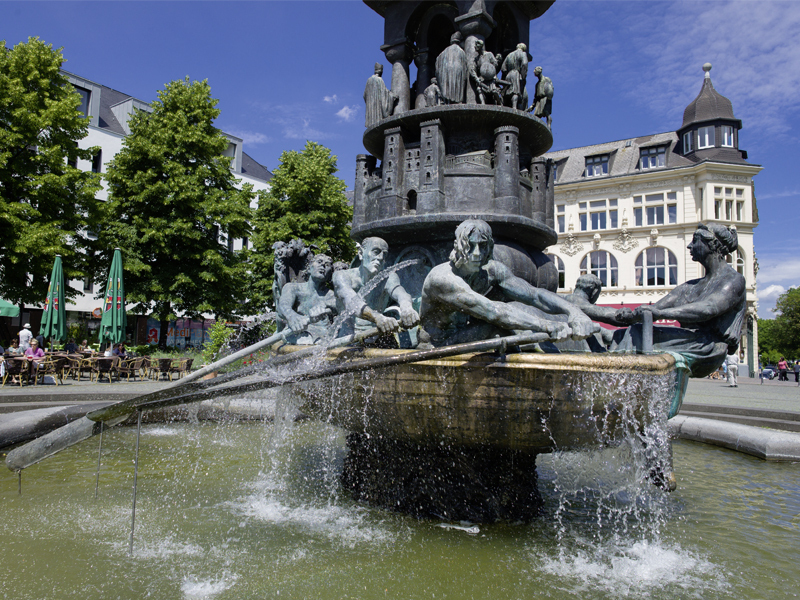 Archaeological studies have shown that the Görresplatz square in the Koblenz old town was once settled by Romans. In the middle ages it belonged to the estate of the St. Castor monastery and later to the Jesuit order. In the 19th century it became increasingly built up and passed into municipal ownership. Görresplatz was home to the publishing house of Carl Baedecker from 1827-1872, famous for his tourist guidebooks. 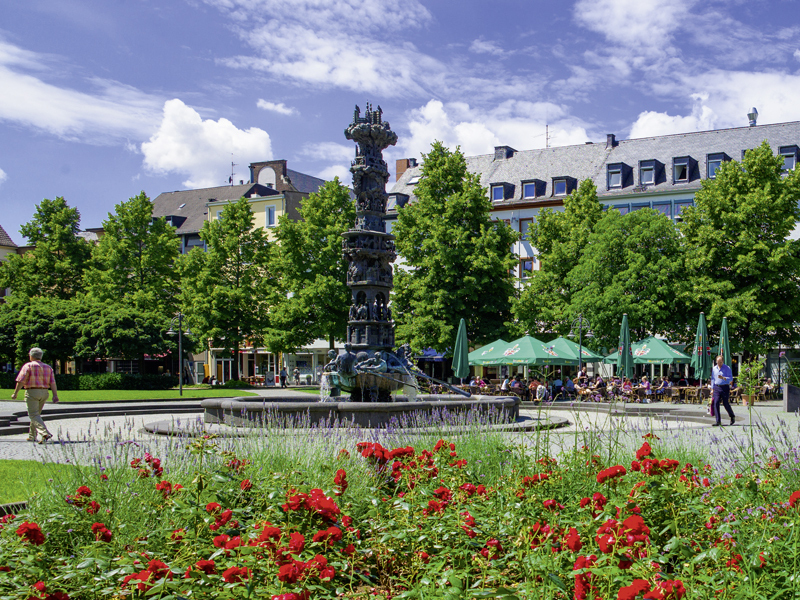 Over the centuries the Görresplatz has frequently changed both in looks and in name. It has been called the “Großer Platz” (Great Square), Paradeplatz (Parade Square), and the French called it “Place verte” (Green Place). In the years of rapid industrial growth it was called “Goebenplatz”. 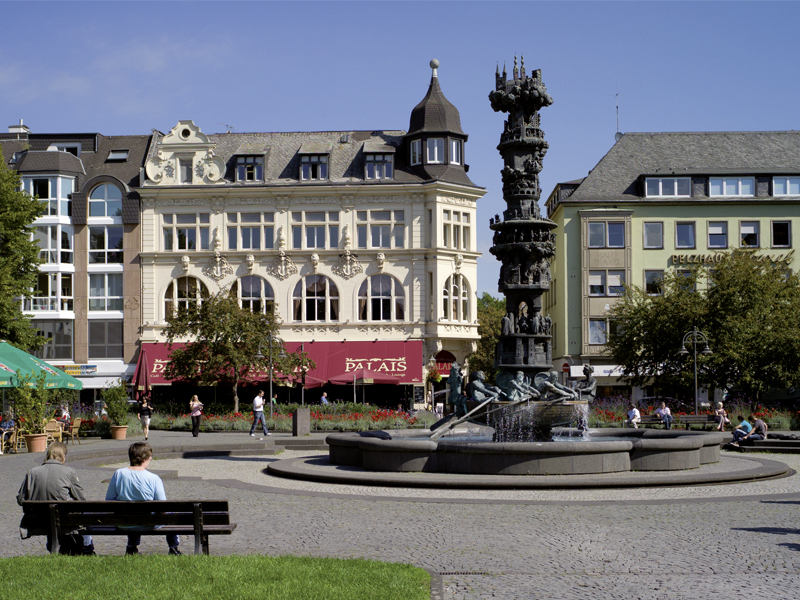 The Görresplatz received its current name in 1946 in memory of the Koblenz publicist and historian, Joseph Görres. The historic pillar in the middle of the square is well worth seeing. The fountain with its approx. 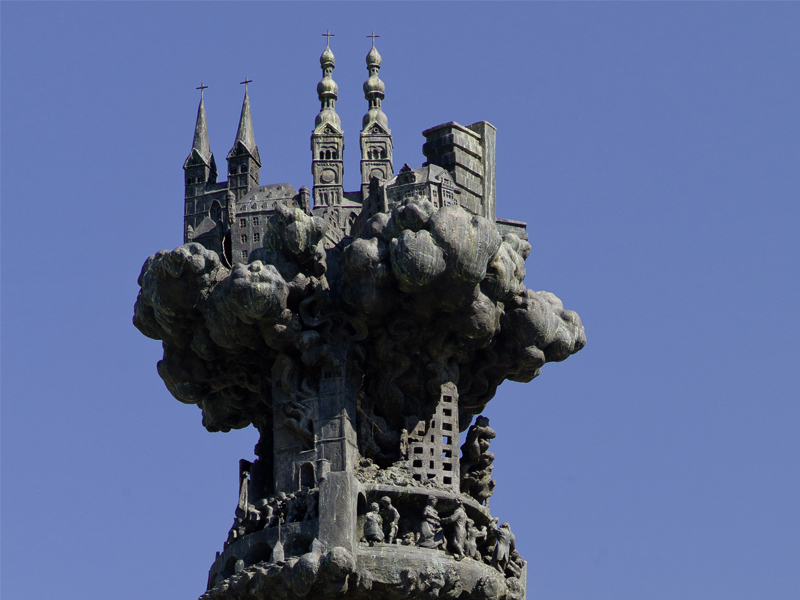 10-metre high column shows scenes from the history of Koblenz in ten three-dimensional scenes that are stacked on top of each other. The historic pillar was a gift from the state of Rhineland-Palatinate for the 2,000 year anniversary of the city of Koblenz in 1992.